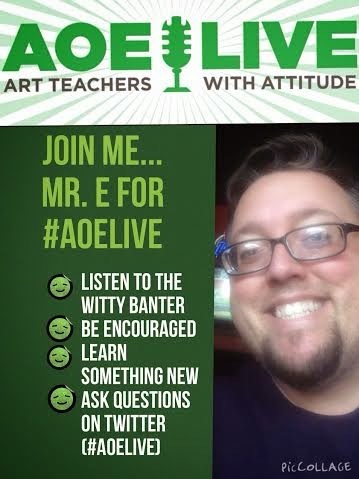 Have you all been tuning into AOELIVE from The Art of Education? I've really enjoyed hearing from the hosts & guests!! They've asked me to be their special guest this week...Tues, April 28th at 8pm cst. It's my birthday on the 28th...and I'd love to spend some of my special day with YOU!!!! Here is a link so you'll know all the important information!!! The link will also tell you how you can actually join in the discussion. I'd love for you to be a part of the fun! !